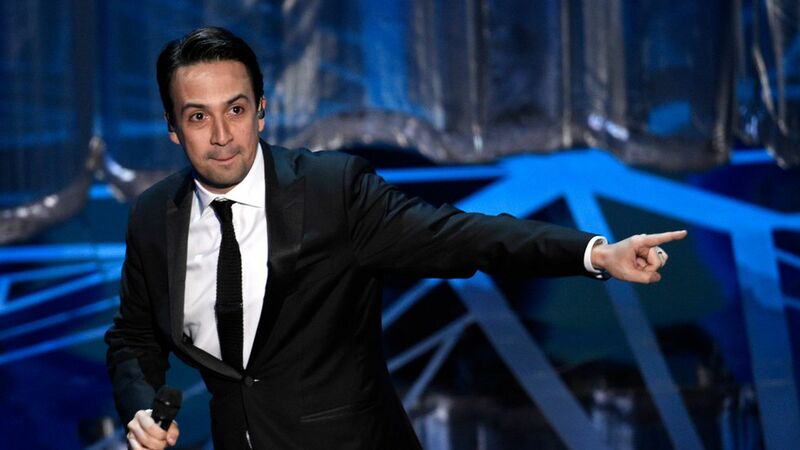 Hamilton composer and playwright Lin-Manuel Miranda released a new song Friday — titled "Almost like Praying," a nod to West Side Story — to help raise money for hurricane recovery efforts in Puerto Rico. Sales of the track, which features a star-studded group of Hispanic rappers, singers, and actors including Jenifer Lopez, Marc Anthony, Gloria Estefan, Luis Fonsi, Rita Moreno, and Gina Rodriguez, among others, will go to the Hispanic Federation's "Unidos" Disaster Relief Fund. Flashback: Last weekend Miranda, who has been an outspoken advocate of helping accelerate the relief efforts in PR, slammed President Trump on Twitter for his attacks on San Juan Mayor Carmen Yulín Cruz. "She has been working 24/7. You have been GOLFING. You're going straight to hell. Fastest golf cart you ever took," wrote Miranda.